Eric Knisley surprised me with this exhibit at the Carrboro Arts Center opening September 9. Eric's a great collaborator whose work can be found here. The horizontal works are done exquisite-corpse style over a few months ... or years. I'm excited to be included in an exhibit with Eric, Bill Fick, Ron Liberti and Saul Zimet. Eric also has work in a group exhibit at The Looking Glass Cafe. 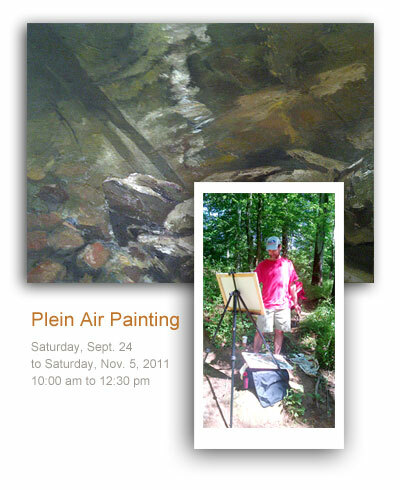 Other artists in that show include Kevin Dixon and Paul Freidrich! 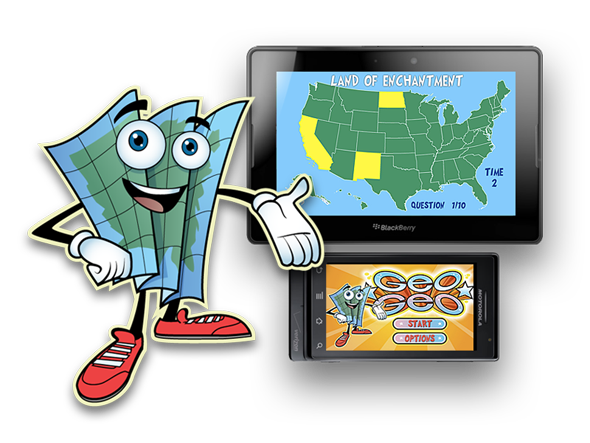 GeoGeo is available for Blackberry PlayBook and Android devices. GeoGeo grew from Carolina Adobe User Group meetings with me and Mark A. Mark knew former Pixar artist, James Elston, who gave us our nice logo and mascot, GeoGeorge. I coded the app and Mark handled quiz development. Please give it a try, let us know if you like (or dislike) it and we'll try to incorporate good ideas. It won't be free on the Android Market for much longer.